Koutsouras. Koutsouras is a coastal village in the Lassithi region. 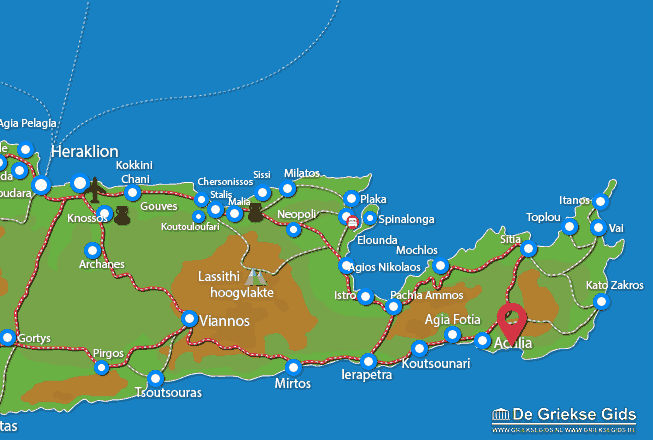 it is located between Ierapetra and Sitia, and not far away from Makrigialos and Agia Fotia. Koutsouras has about nine hundred inhabitants. most of them live from agriculture and tourism. Near the village is a forest called Apigania where various cultural events and concerts are held. In the forest there is a pass that people can walk through. At Koutsouras there is a pebble beach. The large church in the village is dedicated to Agia Irini, however the saint of this village is saint Agios Antonios. In the village there are several restaurants, supermarket and rooms to rent. 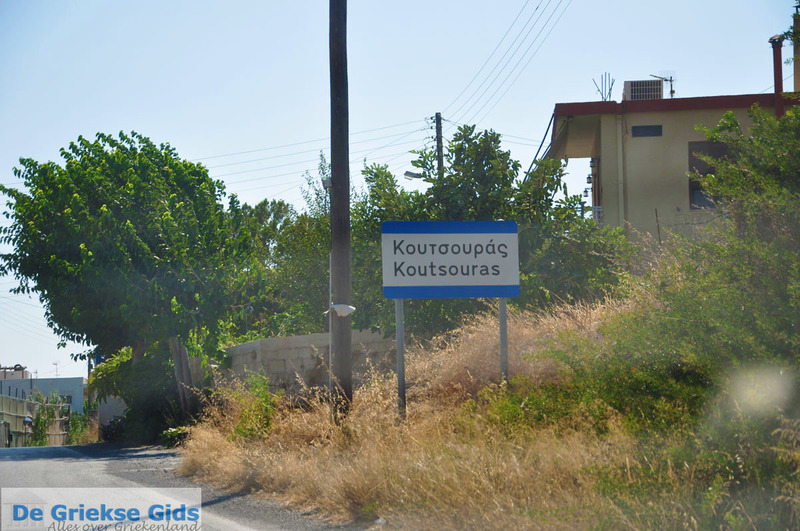 Lassithi Prefecture: Where on the map is Koutsouras located?